Northlands Wood Primary Academy in Beech Hill, Haywards Heath, was awarded a Modeshift Stars National School Travel Award – Bronze Level. The school has introduced many initiatives to promote sustainable travel and reduce car journeys. Mark Sears, headteacher, commented: “Travel congestion around schools is a problem across the county but I am very proud of the families and staff who have supported our attempt to ease the situation at Northlands Wood Primary Academy. The award was presented to the school by councillor stephen Hillier. 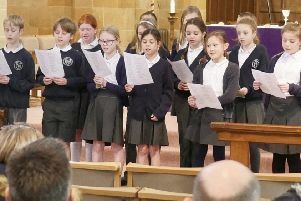 He said: “I’m full of admiration for the work done by the school to win this award. “All four primary schools in my division suffer from the same problems created at drop-off and pick-up times and Northlands Wood has worked extremely hard to try and overcome the problems that affect them, their children and long-suffering nearby residents. 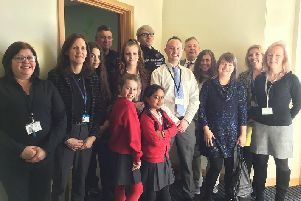 The school is taking part in a Living Streets campaign – WOW – the year round Walk to School Challenge – which rewards children who walk regularly with badges and plan to develop further initiatives this year.